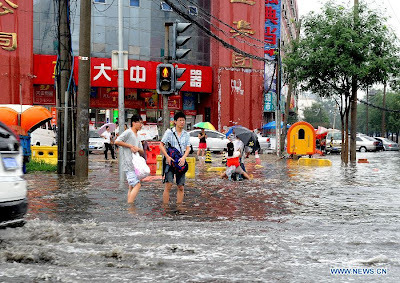 Beijing - China's capital Beijing in six decades, due to the heavy rain has killed at least ten people. 30,000 citizens of Fangsn, Huaru, Mentogu, Pingu, Yangkin and Miun moved to safer places. Thousands of people are stranded on the city's main airport. There are at least 500 flights had to be canceled. They made increment in personnel for relief and rescue operations by the Chinese government. In hospitals they are ready to prepare for handling a major disaster. 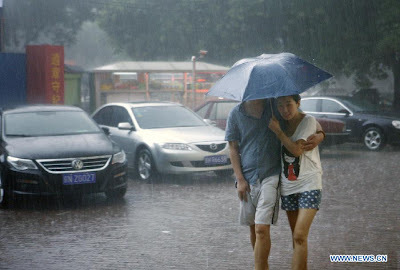 According to Chinese media continued to rain from Saturday evening to all day Sunday. Average 170 mm rainfall this year in Beijing. 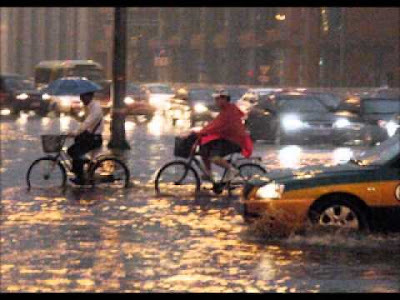 460 mm rainfall was in the Fangsn. 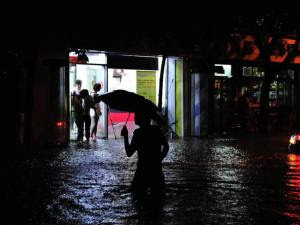 In six other areas there has been disrupted in phone and Internet service because of rain. 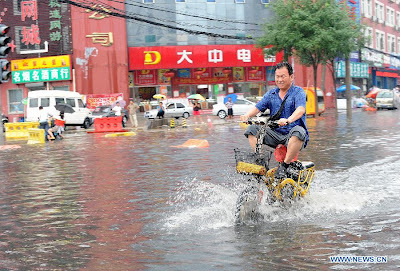 Train facility between Guangju between Beijing has been closed because of flooded tracks. In other areas of China on Friday killed at least 13 people because of torrential rain. About 14,500 people in the outer areas of the city vacate their home. In Shanji four people were killed when their truck plunged into the river by water flowing downstream. In addition, six people were killed in Sishuan morning because of land sliding. There is also news of lighting & electrical shocks in water.